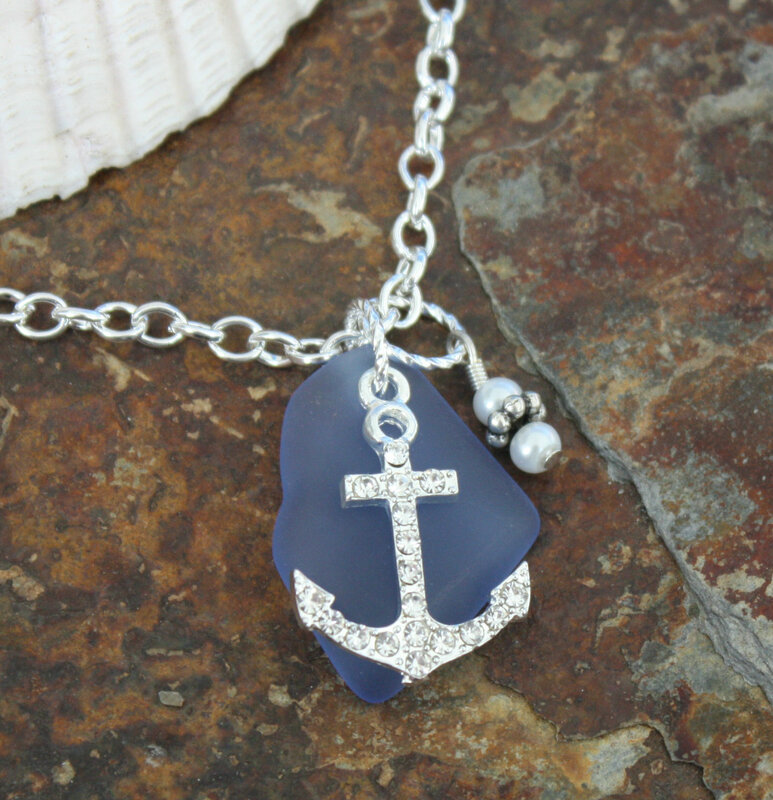 This simple, yet unique necklace features a crystal anchor on blue sea glass and finished with a pearl stone. 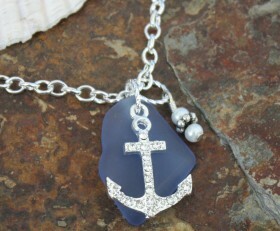 Please note: the shape of the sea glass may vary from the picture. They are all slightly different.